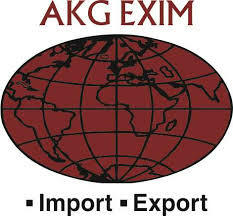 (i) AKG Exim Limited was originally incorporated on 26th July 2005 at New Delhi Akg Exim Limited is a diversified & leading merchant trading company in a vast range of products & commodities with quality management system conforming to ISO 9001:2008. (ii) The Company is a global merchandiser, distributor of variety of products including Non Basmati Rice, Metal Scrap, Aluminium scrap, Iron Scrap, Spices and Dry Fruits, etc. The Company connects the seller and the markets, while ensuring lasting prosperity and sustainable supply at both ends. The Company is catering to a large number of customers around the globe with a concentration on Indian and overseas subcontinent. With a steady expansion in the global market, company is consistently aiming to achieve its mission of providing world class customer services. (iii) Metal Scrap etc. is being imported from USA & West African Countries and sold in Far East Countries in Domestic markets; and Non-Basmati Rice is being purchased in the domestic Market and Exported in markets of African Countries. 100% of Non-Basmati Rice is being exported by the Company. (iv) The Company is accredited with Federation of Indian Export Organisations Certificate (FIEO) and has been designated for the Agricultural and Processed Food Products Export Development Authority Certificate (APEDA) and also registered with Food Safety and Standards Authority of India under License under Food Safety and Standards Act, 2006 as an Importer. Promoters of AKG Exim Limited IPO Company are: Mr. Rajeev Goel , aged 43 years, is Promoter and Managing Director of the Company. He is Bachelor of Technology (Electical) from Delhi University and Diploma Course in Electrical Engineering. He is having more than 20 years of Experience in the field of commodity, Metal scrap business, Sales & Marketing and Client Retention. He looks after day-to-day routine operational activities of our Company and formulation of business policies, strategies etc. He guides company in its growth strategies. He has been on the board of Company since July, 2005.
Review and Recommendation of AKG Exim Limited IPO from IZ Team is: 2/10. (i) The company has one group company named M/S. APPLE OVERSEAS PTE LIMITED incorporated in the year 2008 under the law of Singapore. (ii) Mr. Rajeev Goel and Mr. Permanand Agarwal are the Directors and Shareholders of the Company. (iii) The M/S. APPLE OVERSEAS PTE LIMITED Company is dealing in the business of trading of Commodity and Metal Scrap etc similar to AKG Exim Limited. Out of total 104 Cr good sold by AKG Exim in FY17, the Apple Overseas Pte Limited has bought 30.17 Cr of that goods. So close to 29% of Revenue is coming from selling the goods to Group company. Moreover, out of 95 Cr of Goods purchased by AKG Exim in FY17, the 23.30 Cr has been purchased from Apple Overseas Pte Limited. So in FY17, 23.30 Cr of Goods have been first purchased from Apple Overseas and then again goods of 19.27 Cr have been sold to them. Profit after tax does not entice much in the last 4 years. No moat in the business. Any new entrant can enter the business easily.